The Tree of Life is a lot of things. It’s part family drama, part unintended comedy. Part biblical narrative, part Planet Earth. Part thought provoking, part pretentious. That doesn’t mean it’s bad. I actually liked it a lot. It’s just not for everyone. Why see it? If you like movies that fearlessly ask big questions, see it. If you like to see Brad Pitt put on an incredible performance, see it. If you like strong visual direction, see it. Why skip it? If you can’t stomach anything too self-concious, skip it (but then you probably wouldn’t be reading this blog). If you hate films that spend more time on theme than narative, skip it. Unsure? 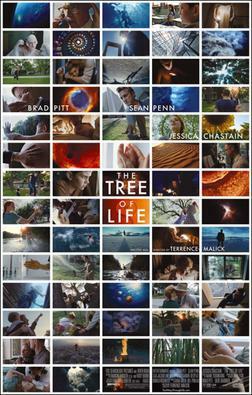 Watch the trailer, then realize The Tree of Life is a lot like what you see there– artful and fragmented storytelling, breathy acting, cosmic bouts of cg for 15 minutes at a time, but more complete and emotionally resonant, a little more dialogue, a little less Sean Penn. Would you see that? Think about it.